From oyster festivals to sailboat races, Boothbay Harbor boasts a wide array of entertainment options that allow you to experience the lively local culture firsthand. No matter what time of the year you plan to visit, there are tons of upcoming events in Boothbay Harbor, ME. Topside Inn’s convenient location along the coast of Maine is close to the area’s best attractions. Before planning your getaway, be sure to request a complimentary copy of our Vacation Guide! It’s packed with local insight on even more events as well as restaurants, bars, and activities in the area. Enjoy a performance at our historic opera house this season. Don’t forget, guests of Topside Inn receive VIP reserved seating — just let us know, and we will confirm your seats. Updated 2/9/2018: More performances may be added. If you’re planning a trip to any of these outstanding Boothbay Harbor, ME, upcoming events, you’ll need to book a comfortable place to stay nearby. Topside Inn is a beautiful property close to all the best restaurants, attractions, and event venues in the area. 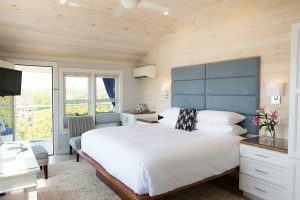 Browse our list of accommodations including several beautiful rooms, a recently renovated suite, and a private cottage by the water. You’ll get to wake up to a delicious, homemade breakfast each morning before heading to the celebrations!